Standard Suite All Standard Apartments have single Spa Baths, Queen Bed and a Sofa bed for those extra passengers. 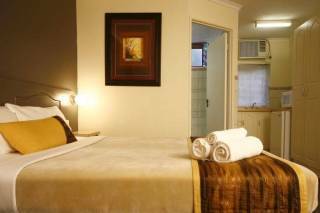 Executive Spa Best in the range, our Executive Apartments all have Large Spa Baths and Ocean Views. Sip on champagne as you watch the sun shining over the beach. As 4 star RACV rated & boasting 32 stylish Apartments, we offer comfort and luxury accommodation at an affordable price. 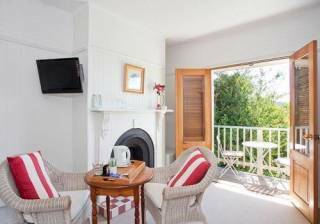 All rooms have recently been refurbished in contemporary style. Best in the range, our Executive Apartments all have Large Spa Baths and Ocean Views. Sip on champagne as you watch the sun shining over the beach. All Deluxe Apartments have Large Spa Baths and either a Private Balcony or Courtyard. All Standard Apartments have single Spa Baths, Queen Bed and a Sofa bed for those extra passengers. Our friendly and informative staff will help you with their local knowledge to make your stay and journey a memorable one. 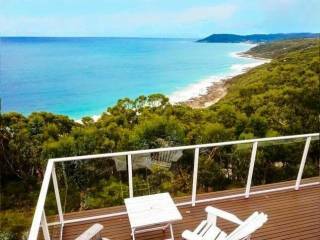 A short drive to many hiking tracks and beaches, there is plenty to do in Lorne and the surrounding area. From swimming under cascading waterfalls through to helicopter flights over the Twelve Apostles, horse rides through the Otway forest or along the beach the opportunities are limitless. 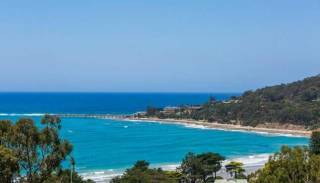 We are central to many of the Great Ocean Roads’ popular tourist attractions such as Shipwreck coast, Loch Ard Gorge, Bay of Islands and much much more..